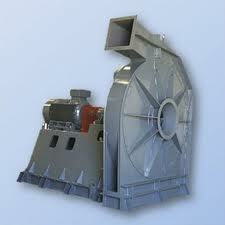 Fans, blowers, ventilators - industrial process fan blowers, commercial ventilationfans, OEM ventilators. 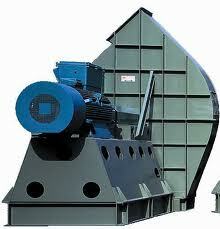 Engineering of large heavy-duty forde draft and induce drafr fans, blowers, air make up ventialtors. 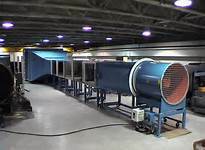 Sales of combustion high pressure blowers, high pressure air scrubberradial fan blowers, high temperature ovens and dryers ventilator fans, general ventilation fans and blowers. Engineering sales of Chicago Blower, Sheldons, Cincinnati Fan, Hartzell, IAP, Industrial air products, Canadian blower, Aerovent, Penn Ventilation, Penn-Barry, Barry Blower, ACME, Aerovent, Alphair, American Fan, Lau Industries, Clarage, Delhi, Canarm, Leader Fan, Daltec, ABB, Flakt, Flaktwoods blowers. We manufacture and supply a number of different designes of pressure blowers, OEM fans, centrifugal high pressure fans, high pressure industrial ventilators, industrial centrifugal radial blowers that are robustly constructed to serve reliably in tough industrial applications. These industrial fans and blowers are custom designed per customer's specifications, and reaonably priced to suit the budget requirements of our clients. High Pressure Blowers are designed as single inlet ID radial fans in direct or belt driven arrangement. With the impeller diameter up to 60 inches, these High Pressure Blowers are used in combustion, pneumatic conveying, gas cleaning applications in various heavy industries. These high pressure blower can be customized per the customer 's specific needs. Manufactured using the highest quality materials and advanced machinery, our Industrial Centrifugal Fans with are durable and tough - for heavy industrial use. 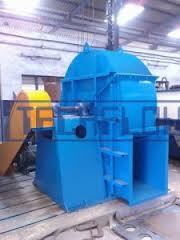 These industrial centrifugal fans are widely acclaimed by our global clients for its unique high quality features. We carry a wide line of Primary Air Fans backwardly curved impellers and airfoil fan blades that is used in power generation plant and poluution contri=ol industry. These primary air fans are available in standard as well as customized fan arrangements. Cooling Centrifugal Fans can be made in both standard as well as in customized modifications - to choose from. Used in various industrial applications, these cooling centrifugal fans come precisely balanced for the highest operational efficiency and economical energy use. Ventilation Fans are used for general ventilation of industrial and commercial premises. Backed by latest design standards, they are easy to install as well as clean and can also be mounted on the walls and roofs. Backward Curved Centrifugal Fans are designed to match up with the demands of specific process applications. Our expertise lies in making these fans available with different rotational speeds, air flows, power consumption and overall dimensions options as per the customer's specifications. These fans use high efficient backward curved blower impellers that are constructed using carbon steel, stainless steel or aluminum according to the highest welding standards. Sale of TCF NYB fans / blowers, American Coolair ventilators, Aerovent ventilators / fans, side channel blowers, regenerative blowers, Canarm ventilators, ACME fans, Leader Delhi fans, ILG ventilators, Plastec propylene blowers, New York Ventilators, confined space fans and ventilators. Canada Blower Company is a major Industrial and OEM fan and blower manufacturer in North America. - Special materials: aluminum, stainless steel, FRP & high-tech alloy. * Conveyor belt cleaning with air-blades.